Even though pendulums are easy to use in a sense, there is much more to diving through pendulums then meets the eye. In order to perform a pendulum reading properly, steps should be taken and considered before you begin to ask your questions to the pendulum. Whatever pendulum type you use or decide to buy, make sure the pendulum is solid though not too heavy. The heavier your pendulum is, the harder it would be for it to swing. Like wise, you do not want a pendulum that is too light either. 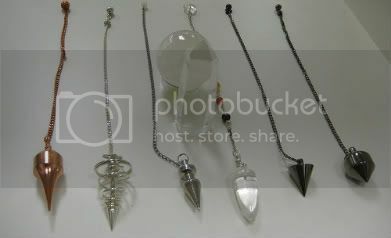 Traditional pendulums are shaped in a certain way to specifically aid with divination. Many pendulums are shaped to where they have a point at the end. 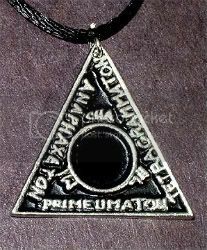 This point represents the end of the channeling energies that are being passed from you(the diviner) to the pendulum. After you have cleansed your pendulum it is time for you to use it. 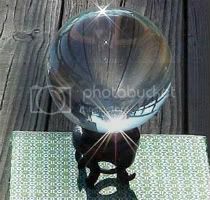 Before you use a pendulum it is always best to ensure that you perform a protection ritual or spell before hand. 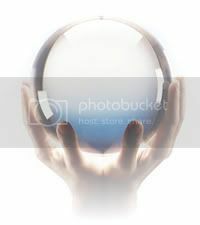 The reasons for this is because when using any form of divination tools such as crystal balls, scrying mirrors, or pendulums, you are opening door ways not only to your subconscious, but also to the spirit world. Spirits often are summoned through divination whether intentionally or unintentionally to aid the seeker in finding their answers. Take your pendulum by the chain or attached medium and hold it inbetween your index finder and thumb. Rest your arm that is holding the pendulum on a table or firm surface by the elbow and let the pendulum dangle loosely. Ensure that there is enough slack for it to swing freely and without obstruction. Once you feel the pendulum is charged enough, open your eyes slowly, and stare at the pendulum, focus on the pendulum point(the end of the pendulum) and then ask the pendulum to show you what it's response will be to a "yes" answer for a question you ask. For example, you can ask your pendulum "Show me Yes." after you say this, wait and watch which way your pendulum will swing. Some pendulums will swing either back and forth or circular. Whichever way it goes in response to that question will be it's direction for "yes". Do the same for "no"("Show me No") and ensure that the pendulum stops COMPLETELY then begins to turn in the opposite direction. This will then be "no". 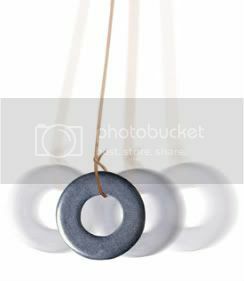 If spirits are aiding you in your answers, the pendulum may vary well swing very strongly depending on the strength of the spirit. Spirits however are notorious for giving bad and inaccurate answers on purpose. If it is a good and helpful spirit this can be one of the best ways to get an accurate answers to your question. If however, you have a mischievous or malevolent spirit, they will purposefully make your pendulum reading frustrating and possibly even dangerous. (pronounced sow-in). It is the time between Samhain (pronounced "Sow-in"
sun." Thus, Samhain is often named the "Last Harvest" or "Summer's End". Symbols of Samhain - Gourds, Apples, Black Cats, Jack-O-Lanterns, Besoms. Mandrake, Oak leaves, Sage and Straw. Incense of Samhain - Heliotrope, Mint, Nutmeg. Colors of Samhain - Black, Orange, White, Silver, Gold. Stones of Samhain - All Black Stones, preferably jet or obsidian. recognize our own part in the eternal cycle of Life. celebration and 'spine tingling" reverence. 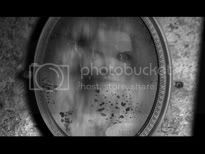 the worlds of the living and the dead became blurred. animal heads and skins, and attempted to tell each other's fortunes. protect them during the coming winter. Pomona, the Roman goddess of fruit and trees. apples that is practiced today on Halloween. By the 800s, the influence of Christianity had spread into Celtic lands. Saints' Day', a time to honor saints and martyrs. Celtic festival of the dead with a related, but church-sanctioned holiday. All Souls', were called Hallowmas. multitude that no one can count. Through many different historic texts through the ages, the pentacle and pentagram have come to represent different meanings depending on the faithful who hold these symbols in holy light. A pentagram is a five pointed star and means "five line" or "five lines" which stems from the Greek word pentagrammos. The pentagram was used extensively in Greece and Babylonia. To the Greeks and Babylonians, the pentagram stood for magical energies and associations. Those who wore a pentagram or showed a pentagram adorned on their clothing would show off without fear their practice of witchcraft freely. Neo Pagans are also heavily associted with the pentagram, and it is commonly tied to a deity The Horned God. Ironically, the Christians once symbolized the pentagram as the five wounds of Jesus. The pentagram is often represented with Venus the planet and Venus the Goddess. Ancient astronomers when viewing into space every eight years could make a constallation around Venus in the shape of a five pointed star. By the mid-19th century a further distinction had developed amongst occultists regarding the pentagram's orientation. With a single point upwards it depicted spirit presiding over the four elements of matter, and was essentially "good". However the other way up was considered evil. A reversed pentagram, with two points projecting upwards, is a symbol of evil and attracts sinister forces because it overturns the proper order of things and demonstrates the triumph of matter over spirit. It is the goat of lust attacking the heavens with its horns, a sign execrated by initiates. This is perhaps where the pentagram started to become synomous with Satanism and evil. 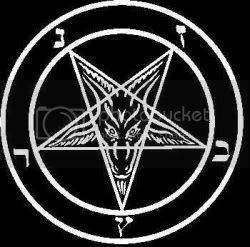 Satanist use a pentagram with two points up, often inscribed in a double circle, with the head of a goat inside the pentagram. This is referred to as the Sigil of Baphomet and is now often associated with Lucifer or Satan and has demonic meanings. 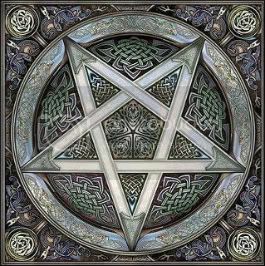 Many Neopagans, especially Wiccans, use the pentagram as a symbol of their faith similar to the Christian cross or the Jewish Star of David. It is not, however, a universal symbol for Neopaganism, and is rarely used in actual rituals and spells that Pagans and Wiccans actively practice in. It is more of a religious symbolism that is commonly explained by reference to the basic understanding that the five points of the pentagram represent the four elements air, earth, fire, and water with the addition of Spirit as the uppermost point. As a representation of the elements, the pentagram is involved in the Wiccan practice of summoning the elemental spirits of the four directions at the beginning of a ritual. The outer circle of the "circumscribed" pentagram is sometimes interpreted as binding the elements together or bringing them into united harmony with each other. The Neopagan pentagram is generally displayed with one point up, mostly because of the "inverted" goat's head pentagram's association with Satanism; however, within traditional forms of Wicca a pentagram with two points up is associated with the Second Degree Initiation and in this context has no relation to Satanism. Wiccan and Pagans do not believe in Satan or what Satan traditionally represents. They instead worship gods such as Gaia, The Horned God, and often Norse, Greek, and Egyptian gods. 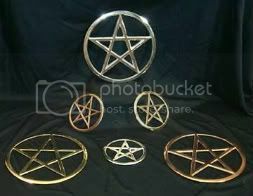 A pentacle in all definately is actually considered an amulet that is used for magical invocations, rituals, and spells. The pentacle is meant to be a symbol with which the spirit draws upon for added strength and energies for these spells and rituals. The most famous historical pentacle is the Seal of Solomon. Solomon was historically linked to being one of the greatest wizards that ever lived. He is often revered by wiccans and pagans and in grimoires and various texts, there are different styles and designs of Solomon's pentacles. Each of them that he had crafted were used for various difference rituals and spells that he would perform. Even though pentacle and pentagram are similar in spelling, pentacle does not represent "five" rather, it represents magical energies and any design or shapes could be considered pentacles. If they were drawn with five points they were often referred to as hexagrams, not pentagrams. Pentacles were often used for protection against demons and negative entities. They were used and still are used extensively for these purposes within paganism and wicca. They can either be adorned around the neck as a necklace or charm, or they can be used as altar tiles or patens for altars. Pentacles are also considered important to draw or attract spirits. Within Wicca and Paganism, the pentacle can be used as a center point with which to open the doorway for spirits to step forth into this plane. Many rituals and spells often call for a pentacle of some form to be within the center of the sacred circle as a focal point for the spirits to be drawn to. It is often said that once a spirit has been summoned, they are "tied" to the pentacle's center often like a statue being held by a base, the spirit is tied to the center of the pentacle and cannot leave or move beyond that point. Solomon commonly employed this method when either summoning spirits or to entrap them. He was famously known for binding and sending back evil spirits and demons to whence they came, and he often used the above method to do this. Pentacles are also popular for appearing within the Tarot. The pentacle within the tarot replaced the coin reference within the minor Arcana. The pentacles in tarot represent the Earth or financial situations depending on the meaning of the cards to the reader. The Department of Veterans Affairs says that they allow 38 symbols to be used on government issued markers for fallen soliders during wars and other brave men and women who serve to protect the country and smaller municipalities such as police officers and firemen. These symbols range from the Christian Cross to the Jewish Star of David to the Atomic Whirl that denotes Atheism. Why then is the Pentacle that represents the Wicca faith NOT allowed on these markers? The pentacle represent Earth, Air, Fire, Water, and Spirit, and is meant as a symbol of faith and protection within Wicca and Paganism. 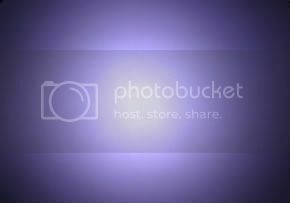 This ancient symbol is so wide spread that when anyone even hears the word "wicca" or "wiccan" this is normally the first image that pops into their head. There have been lawsuits filed by the American Civil Liberties Union and Americans United for Separation of Church and state that are asking the government to change it's policies on this subject, arguing that Wiccan's Constitutional Rights to religious freedom have been abridged. It is no secret that Wiccans and Pagans are normally bastardized and out right called "satanist" by many closed minded people. The pentacle is often confused with the pentagram which is popular among Satanists and Occultists as a symbol of their own faith and religious beliefs. This confusion and the fact that wiccans and pagans practice witchcraft(rituals and spell casting) within their faith unfairly labels them as Satan worshippers even though Wiccans and Pagans do not practice black magick or any form of negative based magick. These energies are strictly forbidden within these faiths and Wiccans especially do not believe in Satan. The fact that an individual who is giving their life freely to protect our country as well as a country that is not even his or her own, then this alone should warrant the pentacle to be allowed as an acceptable symbol to be placed on these markers. 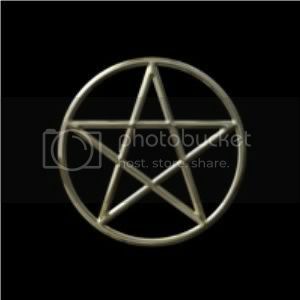 The fact that the pentacle cannot be allowed on markers does indeed break the religious freedom and choice right, and whether or not anyone disagrees, the government needs to uphold to everyone's constitutional rights. Some states have already begun to work on these issues however. A pentacle on a plaque honoring a Nevada National Guard a one Sgt. Patrick Stewart who died in Afghanistan last year, was put in place not too long ago on the Nevada Veterans Memorial at the state run Northern Nevada Veterans Memorial Cemetary in Fernley, Nevada. Stewart's widow Roberta, says the federal government originally balked at her request to have the pentacle on a plaque. However, Republican Gov. of Nevada Kenny Guinn insisted that the state provide the plaque and use the wiccan symbol and the federal government then withdrew and allowed it. A Guinn's spokesman stated, quote "Honoring the service of this man who gave his life for his country was more important than the symbol," he says. "He felt it was important that the man be honored." For nine years Wiccans have tried to get their religious symbol approved as an offical religious symbol. During this time as they patiently wait, SIX other symbols have been approved over them. Barry Lynn, executive director of Americans United for Separation of Church and State, says he's baffled as to why the federal government continues the policy and has seen no explanation of the practice from the VA.
"I've been in Washington since 1973, and I have never seen a bureaucratic mechanism work in such a bizarre fashion," Lynn says. The suits were filed on behalf of Wiccan widows of combat veterans and Wiccan churches that have sought to have the pentacle put on markers. There is no central governing body for Wiccans, so it's difficult to find accurate numbers for how many Americans practice the religion. A study by City University of New York in 2001 found 134,000 self-described Wiccans in the USA. Roberta Stewart, whose husband was awarded the Bronze Star and Purple Heart, is named in one of the lawsuits, even though she won her fight to have the pentacle placed on her husband's plaque in Nevada. "My personal quest has been completed, but I continue this fight for all of our pagan, Wiccan veterans who have not been honored," Stewart says. She believes that the federal government misunderstands Wicca. She says she and her husband often described their faith as a mixture of Native American and Celtic influences and rituals. In Wicca, "you don't go off what's in a book," Stewart says. "You go off what's in your heart." "The spiritual first-aid kit for home and self"
From the very moment I learned about using purification and cleansing tools, and rituals. times of empowerment, and are an endless source of strentgh for me. another tool used by some Native American Nations. The two that I use primarily are "Frankincense" and Myrrh Resin. These are of personal choice, depending on your area of faith or spiritual beliefs. I have many beliefs and I see truth everywhere, so mine are varied, according to my needs. There are many other tools out there...These listed are simply the ones of my preference. 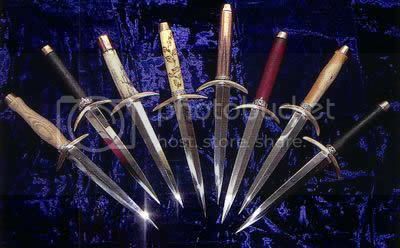 The athame is a ritual dagger that is used by Wiccans and Neo Pagans in rituals and spells as an extension of their body. The athame in Wicca is traditionally a male principal, or a male symbol representing the reproductive organ of the Horned God who impregnated the Goddess Gia to give birth to the Earth and nature. The athame is traditionally either black handled or wooden handled, with the blade made of steel. Wood is often used in an athame because of it's representation of Nature and the Earth. A tree was either sacrificed or already dead, and the wood was recycled into the athame so that it may be continued to give life and energies once again, almost like a symbolic rebirth. It is not exactly clear as to why the black handle became a traditional, though many texts and historic refrences point back to King Solomon who was said to use a black handle athame in his rituals and spells. This black handled blade then became a symbol and a staple to the athame since Solomon was revered as one of the greatest wizards to ever have lived in real life folk lore. 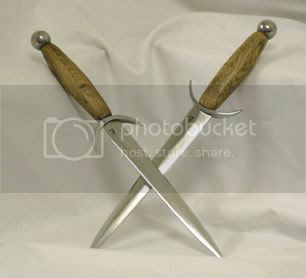 Whatever handle blade you decide to use or choose for your athame, it is always best to use steel for the blade. Iron is not considered a good metal for an athame because traditionally this metal is soft and weak when put under heat and will melt. Since fire is such a strong symbolic element within Wicca and Paganism, many rituals call for it and often times, the athame needs to be plunged into a fire and must with stand the heat. For this reason stainless steel or steel in general is the best material for the blade itself to be used. 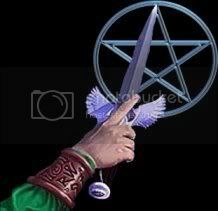 Athames are NOT meant to be used as a weapon in Wicca. These sacred tools are meant for rituals and spells only, never to be raised as a weapon even for self defense. Athames are an extension of yourself and are to be used almost like a carpenter would his hammer or saw. It is very common within the Wicca tradition for an athame to "find" it's owner. This means that the individual who would like to own or use an athame must not actively seek it out. Rather, the blade is supposed to find the individual. Almost as if when you actively seek out love and you never find it, but when you are not looking you suddenly come across the person of your dreams. It is often believed that athames pick up a mind of their own. That often they become "alive" and almost have their own personality. This seems to be true, or at least, there have been many strange and unexplained occurrences with athames. There have been accounts from their owners that they simply disappear without a trace for hours or sometimes days only to return right where the owner left it later on, safe and sound and without damage. 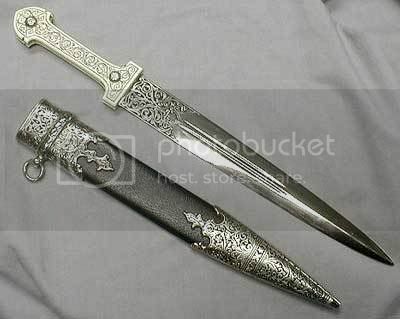 Some people insist that they placed their athames in a storage box at night and when they awaken the blade was resting besides them on their beds or night stand right next to them. If your athame is brand new and has never been used then it is "dormant" or basically it has yet to be given life. The more you use it, the more you place your energies and will into this ritual tool, the more and more this blade will take on a life of its own. You HAVE to respect your athame for if you do not and you misuse it, much like a dog who has been abused so many times it snaps, the athame will cut you. The more these sacred objects are mistreated and abused the more likely that are to become a source for negative energies. 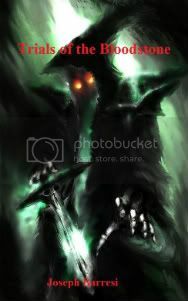 The blade will suddenly become a vessel for these dark forces and they will begin to leech off your energies like a vampire and will backfire the rituals and spells you use the athame in. Much like a gun, it is not the gun that is evil or intends to do harm, it is the individual who wields it. The same can be said to any ritual tool you use, especially your athame. To prevent this, ensure you treat your blade with respect and dignity. A good way to ensure such respect would be to offer the athame knife as an offering each night before you go to sleep or every morning when you awaken to one of the gods or goddesses you worship and pray to. Say a prayer as you are knelt down, with your head down looking at the ground and the blade held out in both hands, palms up in front of you. After the prayer lay the blade down on your altar and keep it there until you are ready to use it once more. You can use your athame for practically any ritual or spell you perform. However, if you are just breaking into Wicca and would like some example rituals as to how you can use your athame here are a few examples. The first ritual that you can use your athame for would be in a protection ritual. Cast and open your circle as you would any ritual and set up all your other tools(incense, candles, gemstones, etc.) when this is completed, sit cross legged in the center of your circle and begin to meditate. Since this is a ritual on protection, imagine energies begin to build up inside of you that will keep you safe from negative influences and forces. These white light energies completely surround you, imagine these energies being channeled from your core and outwards so that it surrounds your entire body in a shield. Perform this meditation for as long as possible, and when you feel you ready pick up your athame by the hilt and hold it firmly. Stand up and while standing, hold your athame out in front of you and begin to imagine this protection energy being channeled into the athame from your body, through the hilt, and into the blade. Imagine in your mind's eye that the blade is glowing in a white protective light, and when you feel that you have charged the blade, take the athame and begin to trace in the air in front of you a symbol of a pentacle. As you are doing this, try to imagine the pentacle forming in white light as you trace the design with the athame. Once you have finished tracing your pentacle, stand before it and imagine the light getting brighter and brighter until it is blinding. When you reach this point, just through the pentacle and imagine it's protective white energies merging with your own to strengthen the shield that you had previously put around you. Another example for a ritual with your athame would be a love ritual. It is very similar to the above example, only instead of imagining white protective energies surrounding you, you would imagine pink colored energy flowing through you and your body. Imagine a sense of love, peace, and harmony and that you DESERVE love, and love will find you. Instead of tracing a pentacle, you would trace a heart in the air with your athame and then picture that energy as the same pinkish rose color. Step through the heart as you would the pentacle. Again, these are just some example rituals you can perform. Rituals and spells when created by you are limitless in the possibilities you can do with them. These rituals will work and they are quite powerful when you put all your energies into it. Cleansing your athame is quite simple and easy. The best way to cleanse your athame would be to light up some sage incense or even better, a sage smudge stick and then wave and turn over the blade several times through the smoke. 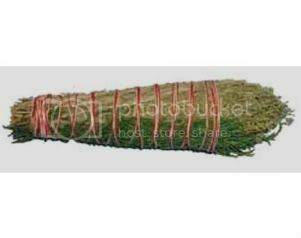 Sage purifys and cleanses and is perfect for this task as your athame will not get damaged. Another method would be to simply rinse your athame with some clean water. Get some bottled water, pour some onto a cloth, and then wipe down the blade and hilt as best you can. Be sure to dry it off when you are finished. Usually salt is mixed with water to cleanses other ritual tools however salt water can corrod and rust the blade and you do NOT want this. Keep salt away from your athame. Magic amulets have long been associated with many different traditions. From the ancient Egyptians to the druids to modern day witches and wiccans, magic amulets are symbols of power that can not only be a focal point for your rituals and spells, but can be worn with you wherever you go. Magical amulets provide amazing value within wicca, the occult, and witchcraft. The energies contained within various different amulets can surround your body always whenever you wear them. Providing you a constant source of these energies. If you worship a certain deity you can use the amulets as a form of an offering. In this way you can take your magical amulet and as you hold it, say a prayer to your deity and then place it on your altar as an offering each night before bed, or each morning when you awake. The deities will be sure to smile down upon you for this act of good faith on your part. Amulets used in such a fashion can still be used in rituals and spells, and still worn. However, if you are going to use them as an offering it is best to cleanse and purify your magical amulet each time after you use it in a ritual, spell, or if you have worn it all day and night before making the offering to your deity. In rituals and spell work they can be used as a tool or as symbolic symbols to amplify your energies. They can either be used just for your rituals and spells as sacred objects, or they can be used, cleansed, then worn around your neck once again. 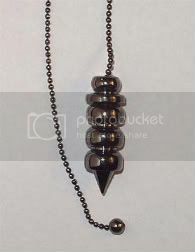 Magical Amulet that involve protection are perhaps the most powerful ones you can obtain. There are many different types of protection amulets however, when worn, these amulets can help prevent negativity and dark entities from being drawn to you and attacking or draining your energies. The first way to use a magical amulet would be to wear it with you wherever you go. 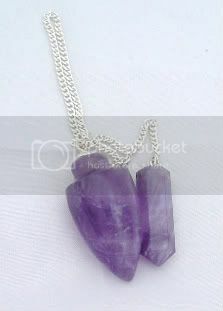 However, before you wear it is always best to charge and strengthen the amulet before you place it around your neck. In order to do this effectively, take the amulet and wait to perform this ritual when the moon is full. The best time is around 2am-4am and on a Friday night. Meditate while burning some incense that represents that of which you wish to obtain. For example if you wish to have a love amulet, you can use amber, dragon's blood, jasmine, or love named incense. Be sure you are holding your magical amulet in your hand this entire time, and while meditating imagine the energies that wish to have come to you flow through your body and being channeled into the amulet. If you wish for love then imagine love, joy, and fiery passion flowing through your body. If your amulet is meant for prosperity or money, imagine wealth, prosperity, and abundance flowing through you and into your amulet, and then use the appropriate incense for wealth(prosperity named, musk, high john the conqueror). Perform this and charge this amulet in this fashion for as long as possible(a half hour is ideal). Once the ritual is done, let the incense burn completely out and then place the amulet into a velveteen bag that is sprinkled with herbs that represent that of which you wish to use the amulet for. 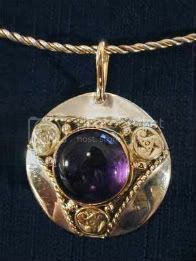 For example if you have a love amulet use herbs such as lavender, rose hips, rose petals, jasmine flowers, and ginseng. Place the velveteen bag in a safe place for a period of seven days. After seven days has passed, you can take your magical amulet out and then wear it around your neck and the energies will be within the amulet, all charged and ready to help you. 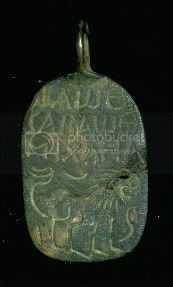 The other way to charge and use a magical amulet would be to perform the above steps however instead of wearing the amulet, leave it in the velveteen bag and then carry it around with you in your pocket when you are out and about, and then when you sleep, place it under your pillow or within the pillow sheet when you retire at night. If you wish to use your magical amulet as a tool in your rituals instead of wearing it or using it to attract things into your life, one way you can use your amulets in your rituals would be as follows. If for example you are performing a ritual of protection to protect yourself or your home, you would open up your circle and perform your normal routine as you would any other ritual to begin with. During your ritual, hold your magical amulet in your hand as you meditate and perform the ritual and visualize protective energies coming out of the amulet and into your home or into you. In this fashion your amulet then becomes a ritual tool to be use during your rituals and spells instead of the ONLY item being used in a ritual or spell. The first way to cleanse your amulet would be to light some sage incense or a sage smudge stick and wave the amulet through the smoke a number of times. You can say a prayer as you perform this if you wish. The sage smoke will cleanse and renew your amulet. Remember that magical amulets only are as good as their owner. If you want them to work properly and to help you bring that of which you seek, ensure to follow the steps above and they will bring you a constant source of strong energies for that of which you desire. Incense in wicca, paganism, witchcraft, and the occult is extremely popular for good reason. The smoke from incense can infuse with your own energies while you are working rituals and spells enhancing the effects and potency. 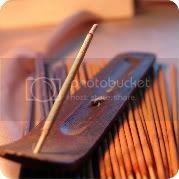 The scent from incense also can lure one into a more deeper meditative state because depending on the ingrediants used to make incense, they have the ability to deeply relaxe the mind and body allowing for a more pleasureable and intense meditative state. 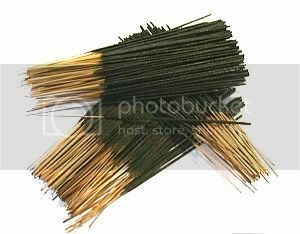 There are basically three forms of incense - granular(or raw form), cones, and stick. 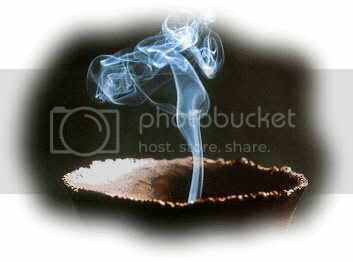 The oldest form of incense is the natural granular incense and by far it's the easiest of the four to make. Loose incense usually burns on charcoal. Cone incense is economical to make and less messy than loose incense. When learning how to make incense, the main thing to remember is that there are four basic ingredients that go into making incense, with the exception of the loose incense. They include your aromatic substance (which creates the scent), a base or chemical that helps the incense to continue to burn, some sort of bonding agent that holds it together and a liquid that allows the bonding agent to change into a type glue. When it comes to the aromatic substance, there are many scents to choose from. You can use any kind of herb you can possibly imagine to make incense. The same can be said to essential oils, which also can be used to make your incense. When using herbs, some give off stronger aromas then others, and depending on what you are using your incense for, you will have to experiment and discover how strong each scent will be once burned. It's important to keep the proportion of aromatic substance at least twice as large as the base. Too much base can cause a strong after smell of smoke, so be careful not to overdue it. When measuring ingredients in your incense recipe, be sure to use level teaspoons and always make sure your ingredients are grounded well, and as finely as possible. 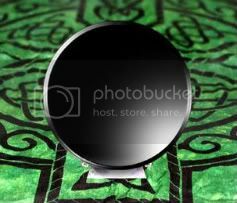 This will help assure your final incense product burns clean and evenly. When grounding down ingredients, use a mortar and pestle. A blender can be used for larger ingredients. The key formula is twenty parts aromatic substance, four parts base and one part bonding agent. There are many types of bases to choose from. A base burns easily and gives off a nice odor when burning. The reason a base is needed for your incense is because most herbs burn poorly without one. The base helps make all bitter roots and herbs balance out and give them a smoother, milder fragrance. The most popular and easy to obtain bases are wood powder, sandalwood, red sandalwood, quassia, vetiver, willow, evergreen needles and talc. Wood powder is nothing more than sawdust that has been ground very fine. You can either buy it or make your own. Any lumber store will be more than happy to give you all the sawdust you can use. Salt peter is added to incense to help reduce the burning time by 25 to 40 percent making your incense burn much longer. If you've ever bought and burned incense and notice that some burn forever while others burn out fast, salt peter is the reason. In case you don't know what salt peter is, it is a natural form potassium nitrate that they put in gunpowder and fireworks. The bonding agent is very important in good incense. You can choose from a variety of gums and resins including agar agar, ghatti gum, guar gum, gum arabic, brewer's yeast, locust bean gum, karaya, sodium alginate, tragacanth and xanthan gum. Any fluid can be used, but water is your best bet however you can use essential oils, wine, beer, and olive oil. Once you have the above ingredients, you can begin to combine them and can use them to form cones, cylinders or down hand rolled or dipped sticks. If all you want is the loose incense, then you are done. You more then likely need something to crush up all these incense ingredients such as the herbs, and other materials that may not be already very fine and in powder form. Mortar and Pestles are the best tool to use for this purpose. For sticks you can use thin wood strips and dip it into your mixture. For cones you will need to shape them, the best thing to do for this would be to find a metal mold in the shape of a cone and then pour your incense mixture into it to form the cone shape. 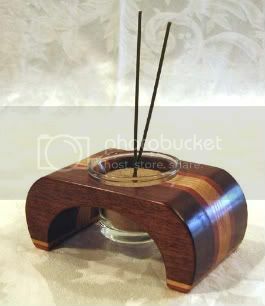 If you would like idea on scents to use for your own incense visit this link for a large list of different scents and how each scent can be used in your rituals and spells. Having magical herbs in your wiccan supplies can be very beneficial, not only medicinally as a natural means to help fight against less sever ailments, they can be a very powerful addition to your rituals and spells when used correctly. Many magic herbs can serve the same purpose of the same rituals and spells, and it could be a good idea to mix herbs that serve these similar functions to enhance the potency of whatever ritual or spell you may be performing. The best way to use magical herbs are to use them as a compliment to other ritual tools you may be using. For example, if you are using a cauldron in any ritual you can place whatever magical herbs you are using into this cauldron and then get the herbs to smolder and smoke. This is the best method to release the energies and properties within the herbs. Just having the herbs sitting besides you in a bowl, dish, or cauldron will not do you much good. The smoke from the herbs can actually carry into the air and strengthen your own magickal energies to your spells and rituals. Another method for using magical herbs in your spells and rituals would be to place them in a velveteen bag, tie it tightly, and then place your spell OVER the bag. The magickal energies you place on the herbs within the bag will then be contained within the bag itself and you can then carry it with you in your pocket or around your neck as a charm. Velveteen bags are excellent for this purpose because these bags are designed specifically for spell use. The thickness and dark colors they come in contain the magickal energies in the bag so they do no leak out. Depending on the ritual or spell you may be performing, you can sprinkle whatever herb you are using around you circle. 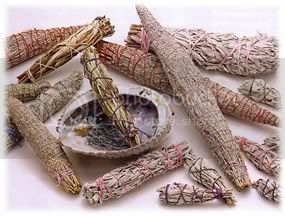 The herbs are more of a means of representation to the energies you are performing. For example, if you are working with a ritual circle involving healing, you would use healing herbs to sprinkle around your circle to better represent the energies of that circle. Magical herbs have many other uses you can use them for. Depending on how crafty you are, you can use them for potporii, mixtures in home made essential oils, shampoos, lotions, soaps, bath salts, and especially herbal teas. If you have other ingrediants you can take those and use these raw herbs and crush them up in a mortar and pestle and then place them within a mixture for your own home made bath and body products and healthy teas. Once any of these herbs are used DO NOT throw them away or re use them for other rituals and spells. The best means to dispose of them would be to gather them back up and to place them back into the Earth from once they came by burying them. You can also simply place them on the ground, however, this is not always the best idea as depending on the herbs, they can be toxic to animals if they ingest it. 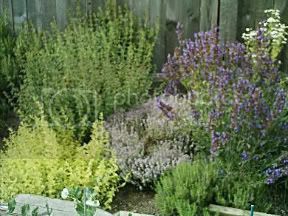 The best way is to bury your herbs you have already used, this ensures that no animals will be harmed, and they will be recycled back into the earth once more. Burning magical herbs for disposal purposes is also not recommended. If you burn already used herbs this is considered disrespectful to the gods and goddesses. Burning ANYTHING after you use it within magick is not a good idea. The best way to burn herbs is explained above, to smolder and burn the herbs for the smoke to be released DURING your rituals and spells. Fire is a potent element, and represents many different things within magick, and depending on how you use fire for magick, it can be either good or bad. When burning any of magical herbs or ritual tools after a ritual is performed this then represents fire as Chaos and Destruction and this is energy you do not want to bring about to you unless you are performing dark arts and black magic that focus on more destructive energies. Disposing magical herbs in water such as a lake or river can be used as well, however again, fish and other water life may be intolerant to these herbs and can poison them. If you know of a lake or CLEAN water source that has no life within it you can place the herbs within the water for disposal. Another great idea would be to take them to the beach and bury them within the sand. If any crustaceans such as crabs or other scavengers comes across them they will be more suited for digesting some of the more toxic properties of the herbs. Below is a list of the five most effective herbs for the specific rituals and spells they serve. 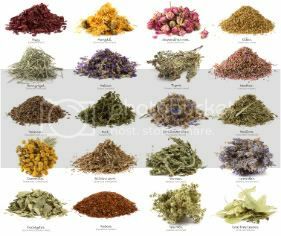 There are literally hundreds of herbs you can use for each of rituals and spells, however, these are top ones that seems to the most effective. 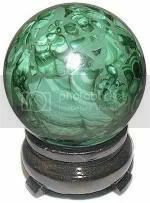 If you or someone you know is suffering from illness such as a cold, flu, or even something more severe, you can take your gemstone sphere and use it's energies for this as well. Again, rolling the stone over the body is best, you can even have the person who is inflicted with the illness hold the stone as you perform a prayer or ritual for them. 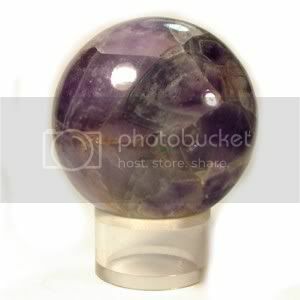 With them holding the gemstone sphere directly, they will be able to draw in the stone's energies directly. 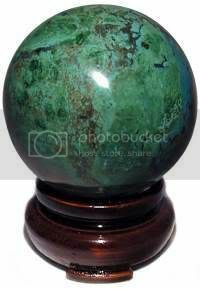 One gemstone sphere that is excellent for ailments such as detoxify the liver, lowering blood pressure, fever reduction, speeding up recovery from burns, and can alleviate cramps is the Chrysocolla gemstone. 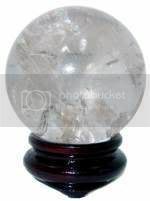 Many gemstone spheres have the ability to enchance your abilities as you are scrying and diving, so having a gemstone located right next to your crystal ball or scrying mirror can be very beneficial. One such gemstone sphere that promotes psychic awareness, enhances mental powers, and increases strength is Black Amethyst.